Inexpensive and looks like it will work for watching tv in bed. Good price and scarce source. My husband had trouble breathing. To cover the Comfort Wedge Pillow. To boost my had when I sleep. Affordable and will help me on my post surgery. I needed a new wedge cover and this one appeared to be the right thing. Needed a change for my husbands wedge pillow. Bought a wedge with.out the pillow case and I like the wedge so I want to protect it. So far I like it. Need covers to cover the wedge and keep it clean. To go over support pillow. Great Buy for the Wedge pillow I ordered. BEST ANSWER: Thank you for your question. The wedge pillow measures 21"long x 24" wide x 12"high. We hope this information will be of help to you. Thank you. I need size requested 28x24x11 cover. If no zipper, is part of pillow exposed? BEST ANSWER: Thank you for your question. The cushion has room on the bottom that opens up and then stays open once the case is put onto the wedge. We hope this information will be of help to you. will this pillow case cover fit a 24x24x10 foam wedge pillow? BEST ANSWER: Thank you for your question. The cover is 21" L x 24" W x 12" H so no it will not fit that size of pillow. We hope this information will be of help to you. BEST ANSWER: Thank you for your question. The cover is 21" L x 24" W x 12" H. We hope this information will be of help to you. BEST ANSWER: Thank you for your question. It measures 21" L x 24" W x 12" H. We hope this information will be of help to you. does it has a zipper? BEST ANSWER: Thank you for your question. No the pillow cover does not have a zipper. We hope this information will be of help to you. BEST ANSWER: Thank you for your question. 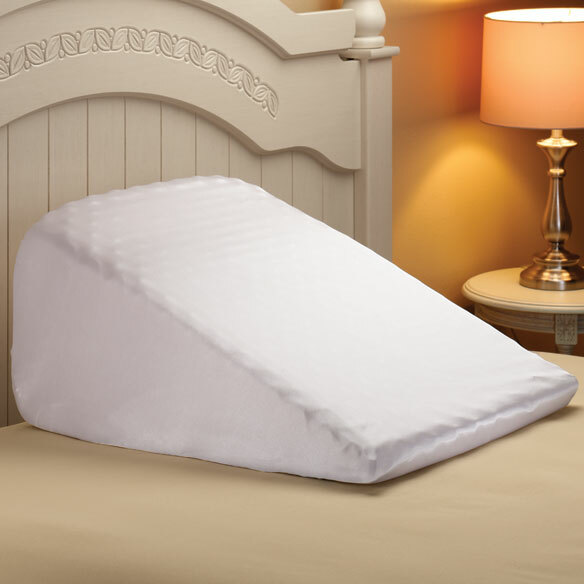 The Wedge Cotton Pillow Case is 21" long by 24" wide by 12" high. We hope this information will be of help to you. will this cover fit 24x24 with 7" or 10" width? BEST ANSWER: Thank you for your question. This cover will fit the wedge pillow we sell which is the size 21"L x 24"H x 12"W.We hope this information will be of help to you.